The Mexican police helicopter that flew into Arizona last month and fired shots near U.S. Border Patrol agents was no fluke—such incursions have become so frequent they amount to an internationalized shooting war along our southern border. It’s not just Mexican police helicopters; Mexican military aircraft entered U.S. territory 49 times from 2010 through 2012. That’s according to a Customs and Border Protection list acquired through a Freedom of Information Act (FOIA) request made by WhoWhatWhy. Along with other documents obtained independently by WikiLeaks, the recent incidents confirm that the U.S. has been taking a full-bore counterinsurgency approach to the border drug war. The possibility that was happening is something we told you about earlier. 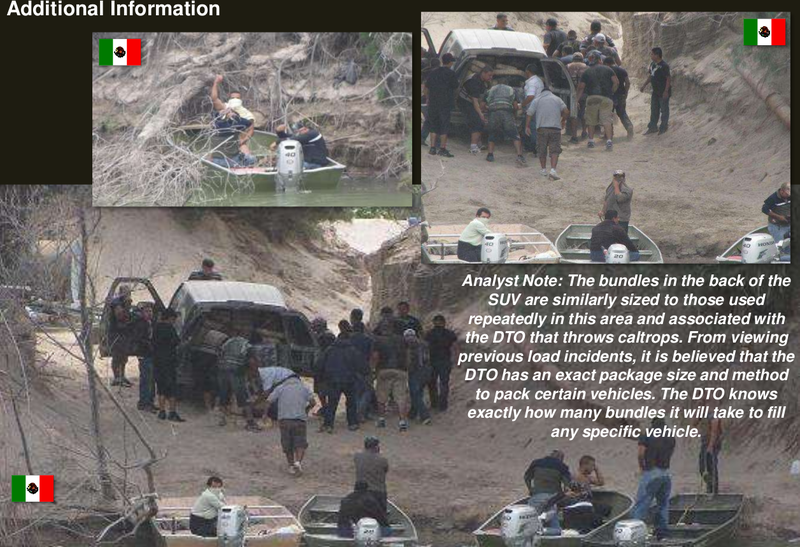 Official statements and media reports about the Arizona incident have not come close to explaining the real significance of such cross-border operations. The facts are now clear: the Pentagon’s push to use counterinsurgency tactics against drug traffickers is giving Mexican armed forces the leeway to operate in the airspace above U.S. territory. Specific Mexican military helicopter incursions and near-incursions are detailed in intelligence reports obtained by WikiLeaks and assessed by WhoWhatWhy. The reports were created by the Border Security Operations Center, an Austin nerve center run by the Texas state police that oversees hundreds of intelligence analysts and manages untold surveillance cameras. The reports came to WikiLeaks after hackers broke into the servers of private intelligence firm Stratfor, which got the documents from its sources. As the Pentagon faces sequestration funding cuts and a fighting force exhausted from Iraq and Afghanistan, the U.S. military is relying more and more on foreign armed forces, police and private contractors like Stratfor. The close cooperation between U.S. and Mexican forces against drug traffickers follows from modern counterinsurgency strategy, which dictates that police should function like soldiers when necessary to deny funds to whichever rebels—or drug cartels—are out of favor. This apparent incursion, or near-incursion, was not included on the Customs and Border Protection list we obtained in response to our Freedom of Information request – indicating that Mexican military operations along the U.S. border are even more numerous than the FOIA document suggests. 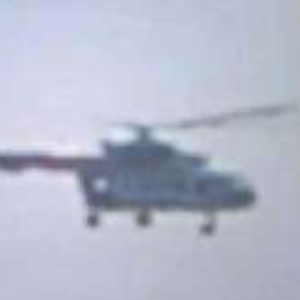 It’s not clear if that Mexican chopper flew into U.S. airspace. 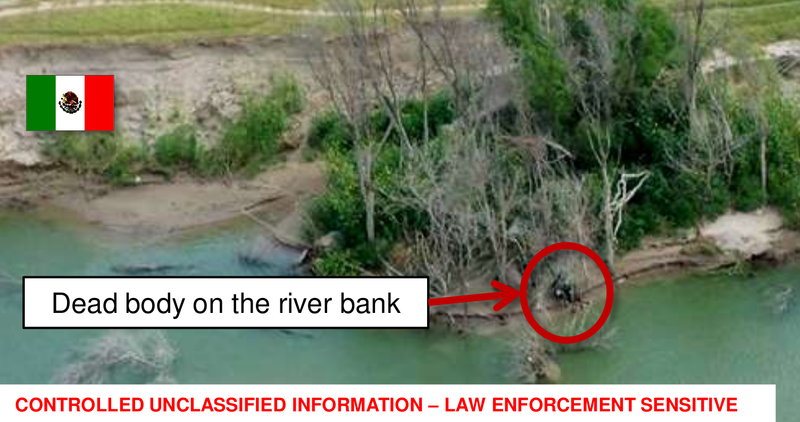 But there’s no doubt the Americans took part in the gun battle, because the Texas state police helicopter guided the Mexican chopper and ground forces to the suspects, including one who was hiding in the brush. [box] USBP [Border Patrol] Agents, assisted by DPS Air 108 [a Texas state police helicopter], pursued a [narco] vehicle near La Grulla[, Texas] that was throwing homemade spikes [caltrops] at the pursuit vehicles traveling against traffic on US-83 before turning south towards the Rio Grande. 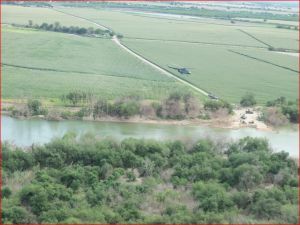 The vehicle was able to travel to the Rio Grande where bundles [presumably containing illegally trafficked narcotics] were taken from the vehicle and loaded into a jon [flat-bottomed] boat [that] returned to Mexico. 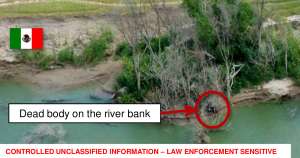 The [Texas police] Aircrew arrived at the river and observed a maroon F-250 [Ford pickup truck], a white pickup and [a] green SUV parked on the Mexican side, with a jon boat on the Mexican side [of] the bank and nearly 40 DTO [Drug Trafficking Organization—cartel] members. USBP advised the Government of Mexico and were notified that they were sending the Military to the area. All vehicles left the Mexican side traveling south when Mexican Military attempted to engage and reported [that] caltrops thrown from the vehicles disabled some of the Mexican Military vehicles. The Aircrew returned to the jon boats and observed the boats traveling down river and met the original maroon Ford F-250 pickup. While DPS Air 108 was observing the jon boat, another jon boat arrived at the same location. The first boat left traveling up river and met other suspects. The Mexican Military in helicopter and ground units were guided to the location as DPS Air 108 advised where the suspects were located. The Mexican Military then engaged the suspects and a gun battle ensued with several suspects struck by Mexican Military fire. One suspect was taken into custody. Stratfor analyst Korena Zucha assumed the Mexican military helicopter had flown into American airspace, and asked Burton whether it was normal for Mexican forces to operate in U.S. territory. “All the time, we fly our birds into (Mexico) and vice versa. Don’t tell Alex Jones or Glenn Beck. The (Customs and Border Patrol) do not fly after dark or weekends,” Burton responded. The re-imagining of the U.S.-Mexico border drug war as a counter-insurgency operation has proved to be a post-9/11 bonanza for private spies like Stratfor and other contractors. Stratfor, for much of the period covered by the WikiLeaks cache (2004-2011), was plugged into restricted knowledge from government intelligence entities in Texas, including the Drug Enforcement Administration’s El Paso Intelligence Center and the Austin center. The career of Fred Burton, Stratfor’s expert on Mexican drug cartels, exemplifies the revolving door between government security agencies and private security contractors that has become the norm since the creation of the Department of Homeland Security in 2002. Before Stratfor, Burton spent more than a decade at the State Department’s Diplomatic Security Service, reading floods of cables describing threats against embassies worldwide. And now, he’s getting law enforcement information before a lot of the law enforcement community. The counterinsurgency campaign is unquestionably erasing the lines between law enforcement and the military—and even countries. With what amounts to a low-level, unacknowledged war being fought on America’s doorstep, sorting out the tangled interests in play—including whether the public truly benefits—seems a high priority. [box] WhoWhatWhy plans to continue doing this kind of groundbreaking original reporting. You can count on us. Can we count on you? What we do is only possible with your support.